Indications: yin, yang, qi, or blood deficiency: four substances can’t fill vessel. Explanation: the frail pulse is thin. This is a deficiency of yin or blood, remember? 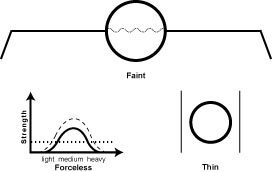 The frail pulse is also forceless. This is a deficiency of qi and/or yang. 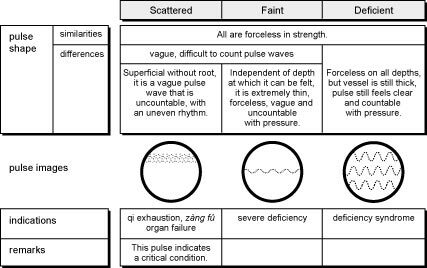 The frail pulse is vague. This is not so much its own finding, but rather an outcome of a really deficient pulse. It is difficult to feel or easily locate.